I have recently lost a little weight, which on me looks like a lot of weight. My 5’2” frame makes 5 lbs look like 15 lbs. After the initial weight loss, I decided that I wanted to join a fitness boot camp to better my physical fitness. I am generally a pretty active person, but my activity is a result of house and yard work, not working out. I wanted to increase my fitness to tone my body and improve my health. Earlier in November, there was a newcomer to the boot camp who was a slim young woman who clearly had no weight to lose. A fellow boot camper jokingly asked her why she was at boot camp, as she clearly wasn’t there for weight loss. This got me thinking about all of the reasons why fitness is such a positive thing in our lives. Everyone should be striving to be fit, whether or not they are overweight. Being fit is one step toward being healthier. Fitness improves the functions of many of our organs, increases our metabolism in the long term, and helps stave off diseases and illnesses. It’s true that fitness can help with weight control, and being overweight can cause high cholesterol, high blood pressure, heart disease, diabetes, and many other diseases. Fitness also reduces the signs of aging. It reduces the hormones that cause wrinkles and other signs of aging, and the reduction of these hormones slows the aging process. As we age, our metabolism slows as well. Fitness increases resting metabolism, which is helpful for weight control as we age, which can become more difficult. So many studies lend themselves toward the fact that exercise greatly improves mental health. It can battle depression, and has long-term effects on the hormones that affect your brain. Exercise reduces stress immediately, and fitness in the long term reduces your chance of mental illness. Exercise releases hormones which make us happier, which causes a much more positive outlook on life. A workout a day keeps the brain doctor away. If you are ever caught in a bad situation, your ability to protect yourself will rely on your physical fitness. Having peace of mind knowing that you’ll be able to fight back and that you’re strong enough to protect yourself is so important. While it seems far-fetched, we have also had our fair share of natural disasters in the world, and fitness improves your chances of getting yourself to safety. Physically, it’s nice to be able to keep up with the younger generation. Whether you are a parent, a grandparent, or work with kids, you know that they have a ton of energy and are not held back. When my nieces come over, I love being able to play tag with them in the yard or wrestle with my kid cousins. My mom has always been fit, and she has always been able to keep up with my energy level. As a result, we can bond over hikes instead of just sit-down activities. Many people only work toward physical fitness for appearance purposes. I’d be remiss if I left this one out, because it is important to so many people. A strong body is a more appealing body, and physical fitness improves more than just weight and muscle tone. It improves blood flow making your skin look more youthful and bright. Exercise releases hormones that makes your hair shinier, and your eyes brighter. It’s important to be physically fit even if you aren’t trying to lose weight. What do you do to remain fit? Why is it important in your life? I am happy with my weight but really need to tone up. During the summer I stay very active but the winter makes it difficult. I’m actually considering joining a no contract gym in the next few weeks. That way, I can get exercise until it gets warm out again. I can’t stand contractual gyms! Good for you, it’s so important. I haven’t had a real work out for over a year… I need to get back to the gym and it’ll be on my next New Year resolution. I just need to lean up a bit. My weight is about the same as before, but I’m definitely more flabby. It’s funny how that happens, hey – even when you weigh the same you can look completely different. I’ve always been pretty fit but was unable to run. Lately I’ve been training to run and it is impressive how I can now run to catch a bus, run back home to make the way faster, etc. without being out of breath. A big change I really want to keep. Once you get a taste of physical fitness it’s definitely nice to be able to maintain it! I agree, it is important to keep eat healthy and exercise. Our diet is varied but has a good amount of fresh fruit and vegetables and we also exercise regularly. I can’t remember the last time I was ill either. You must be doing something good for your immune system, then. I ride mountain bikes on trails but since it is getting cold I need to start hitting the gym again to continue staying fit. I have slacked for a while now. We all go through periods of slacking. It’s okay, as long as you get back on the horse. Fitness is such a stress reliever, but sometimes it’s so hard to get off the couch! Love this post because our physical fitness is something over which many of us have control, and it can have positive or negative implications for so much. 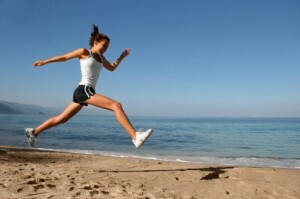 Also physical fitness can contribute to your financial health. A gym membership is much cheaper than regular visits to the doctor. Thanks for this post. Fitness can contribute to your financial health in many ways. It’s all around an important aspect of life. Oh definitely – I’ve seen quite a few studies that show that same thing. I’m in the process of setting up a treadmill desk… not sure how it’s going to work out but I’ll be sure to let you know! I found this desk thing online that is a exercise bike with a laptop docking station attached to it. Amazing!